Am I ‘self’ ish and when is a Kraftwerk not a Kraftwerk? Who am I? Identity and personality, I have to describe as different things – I see my identity as the sum of a collection of ideas, people and places I choose to associate with, the way I choose to conduct myself and the values I express. These are essentially conscious choices: choices you could split into a) how I identify myself and b) how I wish to be identified by others c) How I am actually percieved by others. Couple of questions: Can we look at ‘self’ as an object? Can the ‘self’ ever be percieved objectively? I believe in a fluid or transient ‘self’ at least in the ability of a person to continue developing and changing throughout a lifetime. I belive it is possible for a person at the end of the life to have a completely different pattern of behaviour and beliefs than the person who began the life. Can you then call this final ‘version’ at the end of a life the same person? If so then are you saying that the person is defined only by their physical body? What can you change and it still be the same identifiable person? Is this something we can all agree on? In order to understand this abstract essence of self, do we need to accept that there are unexplainable or intrinsic self-defining qualities in ‘things’? Identity: The following is a music-culture re-constitution of Saussure’s ‘8.25pm Geneva to Paris Train’ analogy! Kraftwerk. Kraftwerk the band curently constitutes only one original member from the 70s line-up. 3 of the members originally known as Kraftwerk are no longer part of the writing, creating and performance of their music. Can we say Kraftwerk is still Kraftwerk in its original sense? 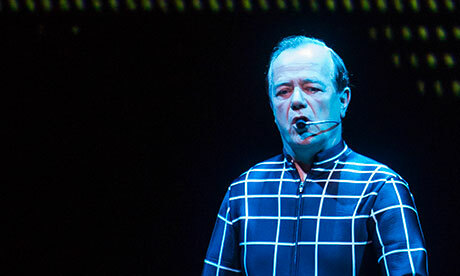 If we say yes, are we then confiming that Ralf Hutter (the remaining original member) is Kraftwerk – that he alone constitutes the essence of Kraftwerk as we understand it? Or is there another continuous essence that defines Kraftwerk from origin to our current understanding of Kraftwerk as a band? What of the previous members? were they not also part of the essence of Kraftwerk? If Ralf Hutter left the band, leaving Kraftwerk with no original members – is this still Kraftwerk? What of a car for which the parts have been entirely replaced? Is this still the same car in essence if not materially? If I follow the process of this structural thinking, this necessitates the need to look at ‘things’ such as a car or band or train: as a concept, an abstract – an idea of the what we mean by the word we use to describe them, not an object but a collection of meanings that triangulate to one idea. This is an idea I am comfortable with but I think even the value of asking the question, the need to ask the question, could have a cultural source: where does the question come from? Is the ‘self’ a mere symptom of sentience? “If I fall in the woods but no-body hears it, do I exist?” – do I exist without another there to witness me? Does it matter?! Without the relationship of a meaning to what a ‘thing’ is or isn’t, closer to or further away from, there is no structural meaning. Now whether object or subject can have intrinsic meaning without context (as I understand humanism) is something I’m not well informed enough to discuss (yet!). Questions, questions: Robert Pirsig describes our personality, our soul immortal in a Buddhist context as a pattern of behaviour that other people identify with a particular person. This pattern can be described as the soul that lives on in its effect upon other people’s behaviour and memory. I find this idea of the concept of the personality/ identity as an intangible pattern of behaviour and actions with which to affect the world, very interesting. For me, the idea of ‘self’ can be explored structuralistically: that we may create the idea of abstract concepts of ‘self’ as part of a structural ‘chain’ of associations and links. I realise that this perspective is associated and supported by theories of ‘Symbolic Interactionism‘ (of which I know a ‘wiki-little’ but will research further) and whilst I can’t and won’t deny the influences of nature and nuture in societal and individual behaviour: humans are social animals and are part of cultural systems that I believe are as important to a continuing workable human (co)existence as biological ‘life-systems’. 1 Response to Am I ‘self’ ish and when is a Kraftwerk not a Kraftwerk?